Your EMI Will Be : Rs. Home Loan EMI (or equated monthly instalment) is a fixed amount of money paid by you to SBI against the loan taken. This is towards repayment of your loan to the bank. Every month, it is due on a fixed day of the month till your loan is fully paid back. With SBI offering Home Loans with loan tenure upto 30 years, the loan EMI can be as low as Rs. 776 per lakh, to make it more affordable and convenient to meet your needs. Lowest Rate of interest offered by SBI on Home Loan is 8.60%. As you can see in the above table, for various loan amounts taken at the lowest rate of interest, EMI differs by loan tenure at 15, 20 and 30 years. Your EMI is higher when you take loan for a shorter tenure of 15 years and it is lower when you apply for a higher tenure of 30 years. Your EMI consists of both interest payment and principal repayment. Though the EMI amount will remain constant, every month the proportion of interest payment and principal repaid within each EMI is different. With every EMI, the proportion of principal repayment in EMI keeps increasing and the interest component in EMI keeps reducing. The above table shows the longer your loan tenure, lower is the EMI you pay on the loan. However, your total interest outgo is significantly higher in a long tenure loan. In the above example, if you take a Rs. 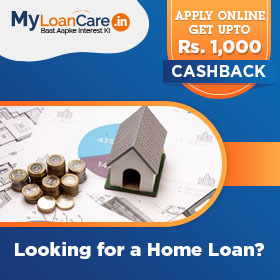 1 Lakh loan for a period of 30 years, you pay the lowest EMI of Rs. 776 . However, you pay an interest of Rs. 1.79 Lakh on a Rs. 1 Lakh loan. In contrast, if you take a Rs. 1 Lakh loan from SBI at the lowest loan rate offered for a period of 15 years, you pay a higher home loan EMI of Rs. 2,056 and pay an interest of only Rs. 23,360 which is less than half of what you paid in a 30 year loan. Hence, it is advisable to choose your loan tenure wisely as longer tenure means high interest expenses. Equated Monthly Installments or EMIs is an equal amount that you will pay to SBI bank to repay your principal and interest. You can use SBI Bank Home Loan Calculator to an ammotisation schedule of your home loan repayment and get an estimate of your EMI to help you evaluate the loan amount, tenure and interest rate you should opt for. Currently, SBI bank lowest home loan EMI is Rs.776 per lakh of loan amount taken for 30 years at the lowest rate of 8.60%. Purpose of Loan: SBI house loan is taken to purchase, construct a home, renovate your existing home. Loan available for both salaried and self employed. Special rates for women borrowers. Borrowers within the age group of 18 and 70 years. Security: Mortgage of property you are planning to purchase, renovate or construct. Loan to Value Ratio of 90%. Loan Tenure can range from 5 to 30 years. Interest rates in the range of 8.60% to 8.60%. Loan amount – This is the amount borrowed by a borrower from SBI. If you apply for a higher loan amount, your monthly EMI will be high. SBI gives minimum home loan of Rs. 15 Lakh upto an amount of Rs. 10 Cr. Interest rate - Interest rates is the rate charged by SBI on your home loan. Higher interest rate increases your housing loan EMI which will increase the total cost of the loan. SBI current home loan interest rate starts at 8.60%. Do complete market research and compare rates and calculate EMI online before you apply for a home loan. Loan tenure – This is the period in which you can repay your home loan in SBI. Longer loan tenure means lower housing loan EMI. Loan term can be determined by your age at the time of loan sanctioning and your retirement age. Generally, SBI offers house loan for a maximum tenure of 30 years. Occupation of the borrowers: Banks charge slightly higher interest rate on home loans for self employed as compared to that on loans for salaried borrowers. Amount of the Loan: SBI offers loan of up to Rs. 20 Lakh at 8.60% and loans of above Rs. 20 Lakh at rates ranging from 8.60% to 8.60%. Type of loan opted for: The bank also offers different rates on its various loan schemes such as fixed rate home loan, floating rate home loan and home loan with overdraft facility etc. Existing bank customers: ICICI Bank may also offer lower interest to its existing bank account holders to maintain its relationship. Ascertain the amount you need to borrow: It is important that before approaching a bank for loan, you need to estimate the amount of loan you need to borrow. The amount of loan you need to borrow is a function of the value of the property and available funds with you. Remember house loan is a long term loan, and hence it is advisable to minimise your loan amount to the extent possible. Limit your loan amount to the balance funds you need to fund the property after accounting for your own available funds. Also, based on the EMI you can service, try to opt for lowest tenure of loans as long tenure loans result in huge interest outgo. Review your current obligations: Before, taking a loan it is advisable to do an evaluation of your current monthly expenses including any EMI obligations that you have on your current loans. The assessment will help you to estimate the amount of EMI you can pay comfortably after taking into account other obligations. Once you arrive at the EMI you can service, you can also decide on the right loan tenure. Calculate your SBI home loan eligibility: Your home loan eligibility is a function of value of the property and assessment of your repayment capacity based on your monthly income. SBI provides a LTV upto 90% and expects the borrower to fund the remaining value of property by own money. For example, at its lowest LTV 90 %, SBI would expect its borrowers to provide margin money of 10%. In case this margin payment is higher than your available funds as estimated by you, you might need to look for higher LTV loans, which may carry higher interest rates and hence, will result in higher EMIs. SBI will also estimate your Fixed Income to Obligations Ratio to ascertain the maximum EMI you can service based on your current income and other monthly expenses. The bank applies a certain ratio to your income to estimate your monthly expenses and then adds your other EMI obligations to calculate your fixed obligations. The proportion of fixed income to your calculated fixed obligations gives your FOIR. SBI lends up to a maximum FOIR of 0.65 . Based on the FOIR, the bank will also estimate the maximum amount of EMI you can service as a borrower. SBI's assessment may be different from your own assessment. Any differences in assessment may require you to readjust your loan amount requirement. You may also consider paying back other running short term loans to improve your eligibility. Will the SBI home loan EMI remain constant or change in future? What happens in case of increase or decrease in interest rate? In case the floating rate of interest on your home loan increases, SBI will typically keep the EMI constant but increase the loan tenure. So, you will pay the same EMI but for a longer duration. In case the interest rates increase to an extent that the revised loan tenure is more than the maximum permissible by SBI, the bank may increase your EMI amount. For partly disbursed loans availed under tranched EMI scheme, your loan EMI will increase with each disbursement. Will home loan EMI change in case of prepayment? SBI allows prepayment at nil charges or penalty in case of floating rate home loans. When you make a prepayment, the outstanding balance of principal amount on your home loan reduces. In this case, you may choose to either keep the EMI the same and reduce the loan tenure (that is paying off the loan faster) or reduce the EMI and keep the loan tenure the same (that is paying lesser amount every month). It is beneficial to keep the EMI constant and reduce the loan tenure as you pay less interest to the bank in this option. 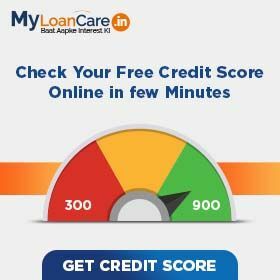 Why should I calculate SBI loan EMI before taking a loan? In case EMI comes out to be more than your monthly budget, then you have the chance to apply for a lower loan amount which fits your monthly budget and makes EMI easily affordable. Earlier, this week, SBI had launched a new home loan campaign, HoSaktaHai exclusively for home loan buyers. The campaign comprises a series of 5 films showing a convenient home loan solution by SBI for specific customer requirement. The lender has designed this multimedia campaign to augment strong growth in its home loan business. Following the repo rate cut by RBI, commercial banks including SBI and Indian Overseas Bank, have reduced their MCLR and home loan rates, effective from April 10. SBI has reduced its MCLR by 5 basis points across all tenors with the one-year MCLR coming down from 8.55% to 8.50% which will reduce the interest rate on home loans and other loans. While Indian Overseas Bank also reduced its interest rate on loans by 5 basis points for tenures of 1 year and above effective from April 10. SBI has reduced its Marginal Cost of Funds Based Lending Rate (MCLR) by 5 basis points across all tenors for the month of April. The move is supposed to make home loans, auto loans and mortgage loans cheaper. Now for overnight, the MCLR stands at 8.20% as compared to 8.15% earlier while for 1 year and 2 years, the rate has been revised to 8.50% from 8.60% respectively. The revised rates are effective from April 10, 2019. Post announcement of revision in its MCLR rates, State Bank of India (SBI) has slashed interest rates on housing loans up to Rs. 30 lakh by 10 basis points. After the rate cut, now the interest rate on housing loans below Rs. 30 lakh will be in the range of 8.60% to 8.90% as compared to 8.70% and 9.00% earlier.